Looking to buy Sheffield Classic all in one Plastic Food Chopper (Green)? Shopclues is selling Sheffield Classic all in one Plastic Food Chopper (Green) at Rs 159. So, hurry up!! 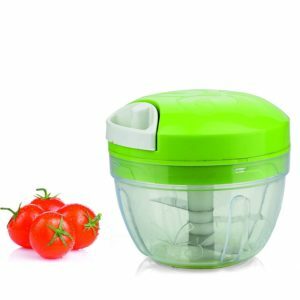 How to buy Sheffield Classic all in one Plastic Food Chopper (Green) at Rs 159?